We’re ZSL (Zoological Society of London), an international conservation charity, and our vision is a world where wildlife thrives. We’re working every day to achieve this, through our science, our field conservation around the world and engaging millions of people through our two Zoos, ZSL London and ZSL Whipsnade Zoos. In 2026 ZSL will be 200 years old, marking two centuries of discovery, pioneering, inspiring and delighting through science, conservation and our two Zoos. However, the challenges facing wildlife are increasing: the rate of extinction is accelerating through habitat loss, disease, the illegal wildlife trade, pollution and other human effects. ZSL needs to act now to address these challenges. We have developed our strategy – ZSL 200 – to help us better tackle the issues facing wildlife today and adapt to those around the corner. It will focus our efforts and operations, with science informing work in the field and using the Zoos as a focus to drive engagement. Inspire future generations through amazing experiences with animals, giving them a lifelong connection to wildlife and an understanding of the part that they can play. Inform the world about the challenges facing wildlife and the ways we all can address these, based on our scientific research, experience and expertise. Empower communities, leaders and influencers by giving them methods, evidence and tools to enable people and wildlife to thrive together. Over the years ZSL has been home to many famous animals, including Guy the gorilla, Goldie the golden eagle and Winnie, who became one of the most famous bears in the world. Find out more about ZSL's famous animals. When ZSL London Zoo opened in 1828, Decimus Burton was called on to design the grounds and animal enclosures. Many other leading architects have since contributed to the layout of the Zoo, creating a collection of buildings that includes two Grade I and eight Grade II listed structures. Read more about ZSL's amazing architecture. We have identified three priority areas to achieve this vision. Fostering sustainable relationships between wildlife and people – because people thrive when wildlife thrives. Coexisting is crucial to a sustainable, healthy world. We are focusing on developing, implementing and promoting sustainable use of the world’s resources, allowing humans and wildlife to thrive. In some areas this involves creating ways to allow people and wildlife to live side by side, while in our Zoos we will bring animals and people closer, to generate appreciation and increase wellbeing among people living in urban environments. Ensuring the health of wildlife, improving the health of people and the environment. Disease does not respect borders, and the growth of global travel has seen the unprecedented spread of zoonotic diseases – harming both wildlife and human communities. We will focus our health research to detect, understand and treat disease, as well as understanding and addressing its causes. We will train and support wildlife health professionals around the world, modelling outstanding animal care in our Zoos. For some species the clock is already ticking, and our work is vital to prevent animals being lost forever. We will achieve this through recovery programmes and by influencing policy, convening partners, championing their cause through our Zoos and providing tools, training and methods – underpinned by our science – to bring about a major improvement for threatened species. Our scientists in the laboratory and field, animal management teams at both Zoos, and our veterinarians contribute wide-ranging skills and experience to both practical conservation and the scientific research that underpins our work. From 6 April 2017 employers in Great Britain with more than 250 staff are required by law to publish their gender pay gap information, covering pay and bonuses. The ZSL 2018 Gender Pay Gap report has now been published to show the difference between the average earnings of men and women, which is expressed relative to men’s earnings. Our second report shows that the overall gender pay gap has reduced significantly over the last 12 months to 0.1% compared to 6.2% in 2017. This is significantly lower than the current UK pay gap of 17.9%. 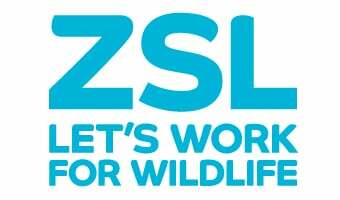 The results are great news for ZSL but we do however recognise that in order to maintain this as a long-term change we need to continue to be committed to promoting inclusive behaviours including the recruitment and promotion of women in senior roles.